Being the driving force behind a start-up or SME means wearing many hats. But it’s also crucial to understand not every one of those hats fits your head and that there are only so many that can be piled on top of each other. 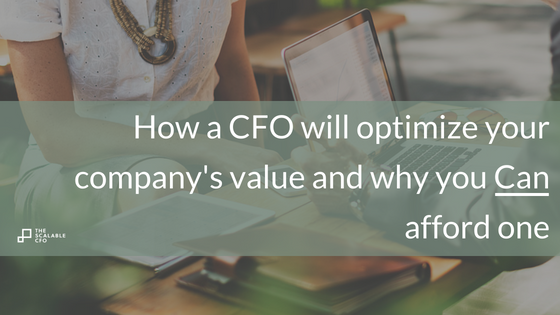 In this article we explore the questions those responsible for a company’s sustainability and growth need to ask themselves when assessing if the moment is right to pass one of the most important hats over to either a full or part-time CFO. Whether you are a founder, co-founder or part of a small management team, when you are responsible for nurturing a fledgling or growing enterprise to sustainability and growth you live and breathe the challenge. It’s business but it’s also hard for it not to become personal. You feel greater responsibility and determination than is generally the case when working for a well-established and already significantly sized organisation. The difference is a bit like that between parenting a child or teen compared to mentoring an adult. The latter can still be immensely rewarding and as a professional you will commit to doing it to the best of your ability. But the adult is, at the end of the day, responsible for their own development and you are just a resource they can tap into. It’s not quite the same depth of involvement or responsibility as parenting or the same sense of ‘project ownership’. As a guardian of a growing and developing human or a growing and developing business, you are directly responsible for a lot. You have the essence of a potentially great company, or human, and you have to make sure it is provided with the input that means that potential is realised. Are the funds in place to cover day-to-day requirements (eg. the office rent at work and paying the mortgage at home) and future development costs (eg. new products at work and a college fund at home)? You are involved in helping set the moral compass (ethics at work and at home) and a whole host of other responsibilities. As a parent you have to accept you can’t do everything. If you don’t send a child to school or to extra-curricular activities to acquire knowledge and skills but try to do it all yourself, when will you have time to work to support the family? And can you really teach physics or train karate? Probably not. Even if you could, would the child grow up to be a well-rounded, skilled and sustainable individual if they’d been denied access to any point of view, field of knowledge or approach to life outside that of their parents or immediate family? The correct management, strategy and vision for a growing enterprise’s finances are as key to it maximising its inherent potential as education and training are to a developing individual. A company can have amazing products or services but unfortunately that’s not enough. In fact, many of the companies offering the best products and services either fail or fail to realise their potential, outdone by competitors with a better commercial model, deeper pockets or both. Making sure you give your company the best financial structure, guidance and vision is as key to it realising its potential as providing a child with an education. And as a founder, co-founder and management team, the chances are at a certain point you can’t realistically do that if you want to be able to give your time and focus to what you are really experts in. A child has to be sent off to school when they reach the appropriate age, the experts continuing the education process the parents start and still contribute to. An organisation also reaches a point in its development when financial expertise and an objective eye becomes the sensible and necessary way forward. Too many growing companies put off bringing a CFO on board for too long due to concerns around adding to expenses. This is, ironically, precisely the kind of strategic error having a CFO helps organisations avoid making. Of course, a CFO needs to be paid but so does a web designer, marketer or sales professional. All of these roles management judge as fundamental investments that need to be made to allow the organisation to generate revenue. A CFO is as fundamental an investment as soon as revenues or other income streams such as significant investment are being generated. Companies grow through the efficient management and reinvestment of revenue or income and the CFO’s role is to ensure that. Too many companies squander or fail to maximise a prospective start by failing to secure return on investment from initial cash flow. Accountancy: a CFO that is responsible for an organisation’s accountancy, or directly auditing it, will most likely come from a CPA background. A CFO is not necessary for run-of-the-mill accounting but if your enterprise has a more complex financial structure and needs then a higher profile of financial expertise than the bookkeeping functions of a standard accountant can be invaluable. Being able to sleep easy in confidence the company’s accounts and taxes are fully under control frees up the rest of the board to focus their energies where they can have most impact. If a potential exit, major partnership or investment round is on the horizon, the correct management of an enterprise’s accounts this kind of CFO will bring can also make all the difference to those being finalised or falling at the last hurdle. Financial Modelling, Engineering & Strategy: the most common input of a CFO is less in the administrative nitty gritty of accountancy as the bigger picture of financial modelling and strategy. An accountant keeps your finances legal, and a CFO puts them to work in shaping the company’s development trajectory. In the same way the engineering of the turbines in a hydro power plant are as important to its ultimate energy output as the force of the water that flows into it, the financial modelling, engineering and strategy of a company is as key to its long term output as the revenues and other income streams flowing in. A CFO will ensure your internal financial engineering optimises what your company can achieve from the income at its disposal. Consultant/Advisor: perspective is the foundation of good business decisions and this is a core contribution provided by a CFO. It is all too easy for those at the helm of an enterprise to fall victim to tunnel vision or Groupthink. When it comes to the strategic allocation of limited resources this can be potentially fatal. A CFO can add both objective perspective and deep experience from your wider industry and/or their formal roles. This neutralises potential errors of financial judgement as well as providing an invaluable sounding board. Dealmaker/Negotiator: whether in a role central to bringing on board further investment or in striking key commercial deals, the experience of a CFO as a dealmaker and negotiator can make a huge difference to the interests of an enterprise. A CFO should have a much more complete awareness of industry norms and the value their company and its product or services represent than the rest of the board. This will allow them to extract maximum value at the negotiating table. Network: a CFO’s extensive professional background and the network that comes from that can also open doors to potential investment or commercial deals and partnerships that would otherwise be closed to an enterprise. Like tech or marketing resource, it isn’t necessary, or even always advisable, for a CFO to be a fixed expense while a company is young and/or in a transitionary growth phase. A CFO resource can be both flexible and scalable, contracted part-time on a ‘pay-as-you-go-and-need’ basis until the development stage of the enterprise justifies a full-time appointment. The qualities most needed in a CFO can also evolve as an organisation does, which means the flexibility of part-time or temporarily contracted professional can be the best fit. Investing in the nurture of structure, strategy, consultancy, negotiating expertise and network a CFO will bring to your enterprise’s finances and commercial activities can provide the best ROI of any single decision made on the allocation of resources. That’s the case for a CFO. It’s a convincing one.